CARROLL GARDENS — A luxury condo building that hit the market last fall in Carroll Gardens is almost completely sold, the developer said. Roughly 75 percent of the units at 345 Carroll Street, which takes its name from the address, are under contract in the building, which features a bocce ball court, a vegetable garden and a pet grooming station for residents. Some residences have even reached more than $1,600 per square foot, according to a spokeswoman for the developer. The average cost per square foot is $1,300. 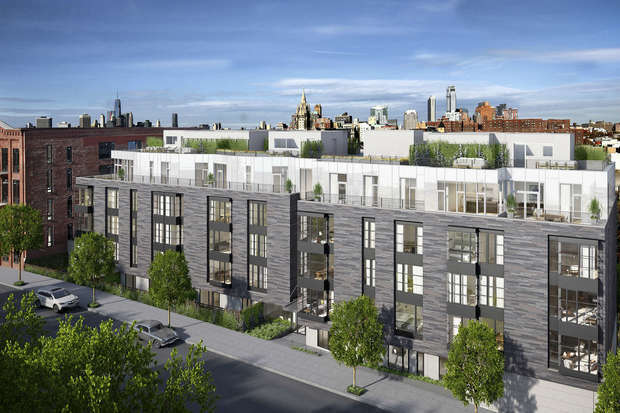 The 32-unit building — one block from the Gowanus Canal between Bond and Hoyt streets — holds one- to four-bedroom apartments, with 18 private outdoor spaces and a 5,300-square-foot garden, according to the website. Among the units still available, 345 Carroll Street has a four-bedroom penthouse listed at $3.325 million — just under the building’s highest sale at $3.625 million for a 2,532-square-foot penthouse, according to StreetEasy. Move-ins are expected by spring 2016, a rep said.